The PPC has negotiated some discount programs for members. 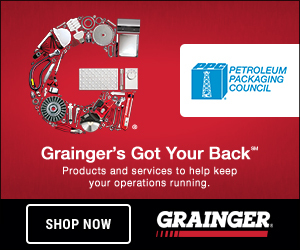 Shop with Grainger and Save! PPC is a participant in the NTMA Grainger benefit program. Use your association membership to save time and money getting your industrial and MRO supplies. Grainger offers a wide selection of products and services—plus technical expertise— to help take costs out of running your business. Visit grainger.com/content/ppc and create an account in order to take advantage of this program! Visit www.valentinesolutionsllc.com to learn more. Lower costs and increase margins when you ship with YRC, the heavyweight expert with the most comprehensive network. As a benefit of your Petroleum Packaging Council membership, you can receive significant savings on qualifying less-than-truckload (LTL) shipments. YRC offers flexible, efficient solutions, including comprehensive North American coverage with a full suite of guaranteed, expedited, exhibit, and custom services. More customers rely on YRC than any other provider. Take advantage of your YRC discount today by contacting your association benefits coordinator at 800.647.3061 or associations@yrcw.com. In order to participate in the program and place an order, click this link: Staples/PPC Advantage Program and use COMPANY ID: 1640056RCH. Log in with your username and password (or create a new one).